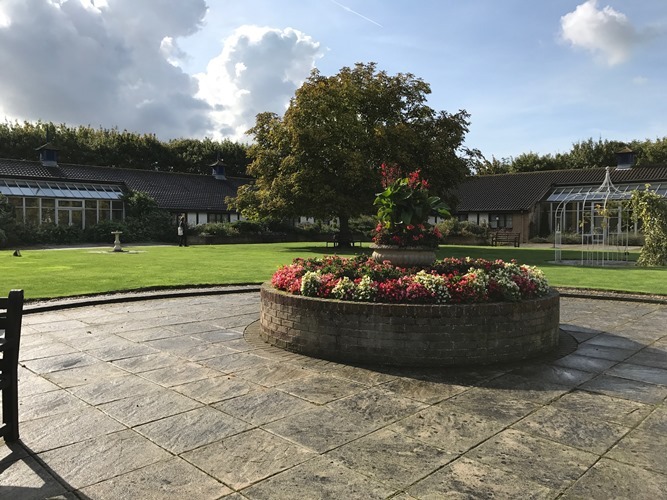 This year’s conference at Wyboston Lakes was enjoyed by all those who attended and inspired many of our members to write their own blog posts. So pour yourself a beverage of your choice and relive (or experience vicariously) the highlights. Many people were attending an SfEP conference for the first time. Although many were anxious at the prospect of putting on proper clothes and shoes and talking to lots of new people, it seems those nerves were quickly dispelled in the face of the friendly welcome and inclusive atmosphere. Kia Thomas was so inspired she wrote a series of four posts. The first one, Conference ramblings, tells of her general impressions, while Part 1 reflects on Language rules, Part 2 was on Doing stuff better, and Part 3 looks at what she had learned about Selling yourself as an editor. Another conference newbie was Selena Class, who wrote: ‘Everyone was so welcoming, friendly and non-judgemental, and it was great just to be able to talk about both editing and freelancing issues with other people in similar situations to your own’, which sums up conference perfectly. Read her Losing my conference cherry. In Linnets, laughter, learning: #SfEP2017 conference highlights, Howard Walwyn wrote warmly about the people, the entertainment and the content, and about how much fun can be had while still learning useful things. Bev Sykes wrote about Why it’s good to escape from the office and reflected on why spending time networking and learning with other proofreaders and editors sent her back to her home office with renewed enthusiasm. Poor Sarah Dronfield was not feeling very well at all, but managed to enjoy it in spite of that. Her How to survive a conference when you’re ill gives us some tips on getting the most out of it even when you aren’t feeling your best. Frances Cooper, another newbie, wrote a piece for our own blog on Impressions of a 2017 conference ‘spotty’. In her words: ‘l left the conference more informed and with an increased sense of being part of a society of people I respect and like.’ That’s what we like to hear! Kate Haigh was not only attending her first conference but actually presented a session talking about her nomadic lifestyle. In Reflecting on attending a conference for proofreaders and editors she looks forward to putting her newfound knowledge into proofreading and editing practice, and urges shy or doubting proofreaders or editors to give conference a try. Others had been to conference before, some many times, others only once or twice. It seems they were not disappointed either, with many commenting on the superb organisation and varied programme, as well as the excellent company and friendly atmosphere. In the first of her two-part series, A-conferencing I will go…Part 1, Katherine Trail notes that just because you’re the one giving a session, it doesn’t mean you don’t learn from it too. Questions and observations from the audience give you a new perspective and open up new possibilities. In Part 2 Kat looks in more detail at one of the sessions she particularly enjoyed, John Espirian and Louise Harnby’s content marketing workshop. This was much enjoyed by all the participants, and not just because it had sweets! In fact, John and Louise’s Whacky-Business Workshop showed us How to be silly while learning content marketing – lessons from #SfEP2017, as described by Louise Harnby on her own blog. Laura Ripper was inspired by the sessions and conversations with brilliant colleagues, and was keen to put the Ten things I learned from the Society for Editors and Proofreaders conference 2017 into practice when she got home. Sara Donaldson wasn’t intending to write a blog on this year’s conference, but ended up doing so anyway, because ‘an SfEP conference shows just how a conference should be’. In her Musings on the SfEP 2017 conference she talks about the sessions she enjoyed most, and reveals that it doesn’t matter what you wear to the gala dinner (a source of anxiety for many first-timers). Erin Brenner came all the way from the USA to attend and present two sessions. In her SfEP’s conference provides language lessons, networking time she talks about the fact that there were more sessions on language-related topics than she is used to in US-based conferences, and also the longer between-session breaks meant more time to network and not feeling quite as wiped out at the end of the day. Some of the Editing Globally team wended their way from distant shores to attend and present sessions. Editing Globally: A-conferencing we go is the first of their blog posts – look out for more! Might it be you next year? If we’ve missed your SfEP2017 conference blog post, do let us know, and we’ll add it to the above. This entry was posted in Conference and tagged community, conference, networking, SfEP on November 9, 2017 by Sue Browning.